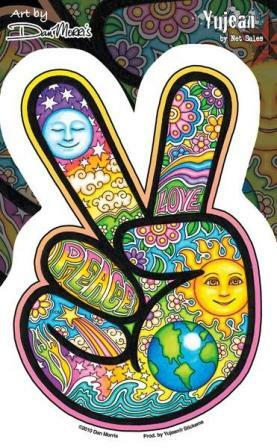 This peace hand sticker was designed by Dan Morris, and has a celestial theme to it. Put it on a car or window, it will look great. It's weather resistant and long lasting. This sticker measures approximately 4" x 6".